The Board, members, friends and supporters of GLISA North America and the entire LGBTQ community celebrate the termination of the “Don’t ask; don’t tell” policy in the US military. The historic and long-overdue Act of Congress on Saturday, December 18, 2010 ends this policy and permits gay and lesbian individuals to serve their country proudly and with dignity. The United States now joins other countries, such as Canada, Holland, Denmark, Scandinavia, Great Britain, Australia and others where one’s lifestyle does not exclude one from serving in the military. The Vancouver 2011 Outgames will include 18 sports, a 3-day LGBT Human Rights Conference, and a week-long Culture celebration supported by the Gay and Lesbian International Sports Association (“GLISA North America”) and Team Vancouver. Join us at the games as we join the City of Vancouver in celebrating its 125th milestone anniversary of its founding. 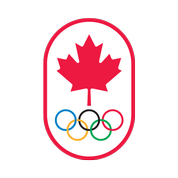 Vancouver and Whistler were also home of the last Winter Olympics. Whistler will host 4 “mountain” sports including Golf, Alpine Marathon and Half-Marathon, Eco-Challenge, and Mountain Biking. The Vancouver area will host to 14 “marine and land” sports including Swimming, Roller Derby, Poker, Badminton, Dance Sport, Dragon Boating, Softball, Track and Field, Water Polo, Ice Hockey (men’s and women’s), 4k walk and 10k run, and 10-pin bowling. The Vancouver Outgames will mark the first-ever GLISA North America/Gay and Lesbian International Football Association “North America Cup” for soccer. And Volleyball will be the first-ever “GLISA North America Cup” for Volleyball. A key component of the Outgames is the Human Rights Conference with workshops and seminars on issues relating to youth, the aging LGBTQ population, transgender, workplace, education, and law. Two awards will be given to recognize individuals and corporations that have influenced LGBT rights significantly and constructively. Additional elements include a Career Fair for youth and specialized seminars on specific topics. The Culture and Celebration component will include the Opening and Closing Ceremonies extravaganza, Womenzone, Queer Film, Ms GLISA North America Pageant, Community Arts and Entertainment Events. The Vancouver 2011 Outgames also dovetails with Vancouver Pride, Canada’s biggest Pride celebration and Canada’s longest Pride Parade. “Times are tough. We’ve trimmed here, tightened there to reduce the fees. Vancouver 2011 Outgames……Going all OUT so you can be here! In addition to these reductions, GLISA North America members receive additional savings on registration and other expenses. There’s no membership fee to join GLISA NA and application forms can be downloaded from the GLISA North America website (www.glisa-na.org). Contact Uniglobe Vision Travel at 1.888.221.5221 (toll free North America), or email airdesk@royalpd.com, and receive the best rates on air travel and to arrange your pre- or post-Vancouver Outgames travel. To qualify for Meeting and Conventions special fares, you’ll need a minimum of 10 delegates travelling from various origins to the same destination within Air Canada’s extensive North American and International network. * Please note that the 12% discount does not apply to already reduced Z and D class Executive First Lowest fares. Meeting attendees can book their travel through our toll-free reservation line (1-800-521-4041), united.com or through their preferred travel professional. SPECIALIZED MEETING RESERVATIONS CENTER – Dedicated Meeting reservation agents are available 5 days a week from 8:00 a.m. to 10:00 p.m. (ET) Monday thru Friday at 1-800-521-4041. The specialized meeting reservations center will be closed on all major holidays. Please be sure to reference your MeetingsPlus ID Number. Volume Guarantee: Customer will ensure that a minimum of 10 Meeting Travelers travel on United, United Express or an approved Code-Share flight as defined on pricing document to the Meeting City(s) during the Travel Period. Customer agrees to use its reasonable best efforts to institute procedures to ensure that the Meeting Travelers qualify for the discounted travel provided herein. If the Volume Guarantee is not met, Customer agrees to pay a debit memo equal to $50.00 per passenger below the Volume Guarantee minimum. CAR RENTAL DISCOUNTS – Hertz will offer, to the attendees of the contracted meeting, discounts of up to 20% off the applicable rental rates when reservations are made in conjunction with United Airlines air reservations. CV 02R30006. For information on creating an on-line booking tool, please call Hertz at 1-888-444-1074. Please make sure you reference your United MeetingsPlus Discount number. The Board of GLISA North America announces the 2011 GLISA North America Annual Delegate Congress to be held on Sunday, January 23, 2011 by teleconference. A representative of any and all of GLISA NA’s member organizations is invited to attend. Agenda items will include election of new Board members, reports from present Board members, an update on the Vancouver 2011 Outgames and Site Selection process for the 2015 North America Outgames, and other items. Additional information will be placed on the GLISA North America website and sent out to member organizations directly.